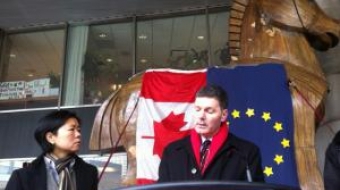 Worried about its municipal rights and services, Victoria has joined Montreal, Toronto and dozens of cities in opting out of the 'most ambitious trade deal' in history. 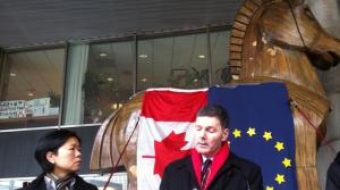 Is Vancouver next? 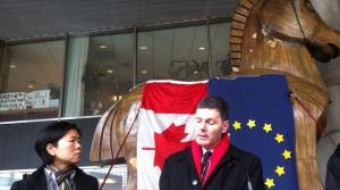 Tories claim Canada-Europe free trade deal will boost Canadian jobs. Unions disagree. 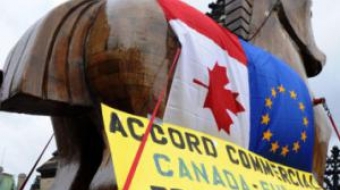 Harper's nearly complete trade deal with the EU would bring 80,000 jobs, the Tories say. But unions say it will destroy 150,000. Who's right?